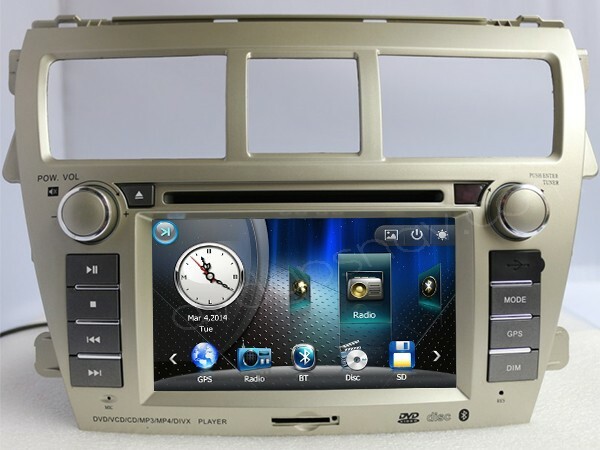 This double din car DVD player is special for new Toyota Vios, with GPS navigation system built-in, besides, we can send you IGO GPS maps for FREE as a gift available for nearly all over the world. The Toyota Vios DVD player has bluetooth, USB, SD, iPod connection, pretty cool compared to factory Toyota Vios CD player/car radio. 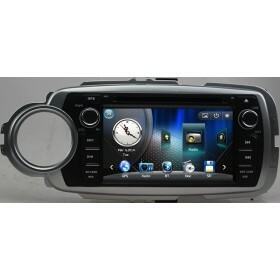 30USD OFF Now, ONLY US$268. 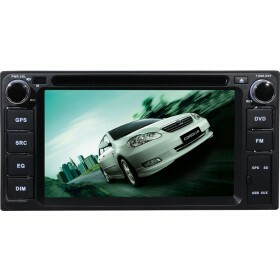 Buy Toyota Vios Radio DVD GPS navigaion unit now get a 8GB SD card with IGO maps for free! 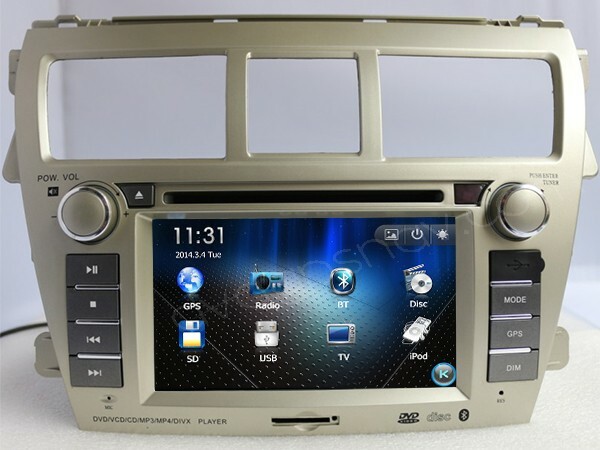 For those who own Toyota Vios and want to upgrade their factory dull CD player or car radio system, we now provide this double din car DVD GPS headunit which is special for Toyota Vios, it's also with GPS navigation system, and bluetooth handsfree function, Toyota Vios dvd player is your best car audio headunit to upgrade the factory car stereo. It's just plug and play, very easy for installation, meaning that you don't need to modify any wires. 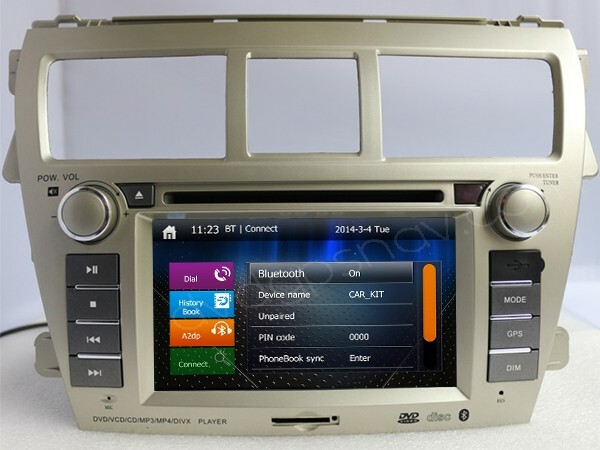 Get a multimedia system for your Toyota Vios now. Q: Do you have a double din dvd/gps player for a Toyota Vios 2007 model? 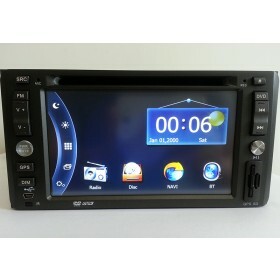 It has standard cd player from factory but I would like a dvd player. 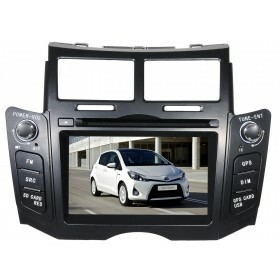 Is it possible to watch dvd when driving with you units? 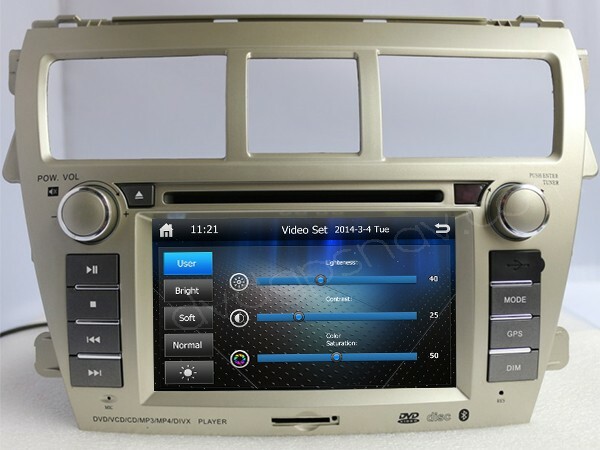 A: Hi, in order to check if this Toyota Vios DVD player fit your car, please send a dashboard picture from your factory CD player to sales@dvdgpsnav.com so that we can check for you, thanks.